Les Winick was not only a prolific philatelic writer, but also an outstanding exhibitor, a national and international judge, and a stamp show executive. He wrote a stamp column in the Chicago Tribune that was syndicated in over 200 newspapers. For over 25 years he authored “The Insider” column in Linn’s Stamp News, where he commented on current topics and was not afraid to report on matters related to the American Philatelic Society, the American Stamp Dealers Association, the Fédération International de Philatélie, the United States Postal Service and other organizations in our hobby. AND, he never missed a deadline! He also authored the “Space Topics” column in Linn’s. Les died this March 5th. He compiled the monograph Iceland: A Bibliography (1978), which collected philatelic articles and books in the English language and in support of his exhibit of “Iceland Air Mail” that won many high awards. Other monographs authored by Winick include Soviet Space Catalog (1978), Space Stamps (1985), The Beck Handbook of Printed Cachets (1995), and nine editions of The White Ace Postage Stamp Identifier (1952-1992). Together with Reuben Ramkissoon Les co-authored Study of ‘Suspect’ Space Covers (2001), and A Philatelic History of Space Exploration Part 1: The Pioneer Years 1904-1960 (1986). He contributed to the German-English Philatelic Dictionary (2005) published by the Germany Philatelic Society. Winick’s articles appeared in the Airpost Journal, Scott Stamp Monthly, American Philatelist, Philatelic Communicator, U.S. Stamp News, Stamp Collector, Astrophile, German Postal Specialist, and U.S. Stamps & Postal History among others. However, he is perhaps best known for his dedicated involvement with the highly successful U.S. international exhibition AMERIPEX, held in Chicago in 1986, where he was Executive Director. After that event he continued to serve as a consultant to major stamp shows. Les was a founding member of the Park Forest (Illinois) Stamp Club, and served as president for several organizations including the Collectors Club of Chicago, the Illinois Federation of Stamp Clubs, the Space Topics Study Group, and the Arthur Salm Foundation. He served on the APS board of directors and was the American Philatelic Society’s representative to the FIP Astrophilately subcommission. The American Topical Association named him Distinguished Topical Philatelist in 1978. The Chicago Philatelic Society presented him its Saul Newbury award in 1982, and he received the Les Shriber, Sr., trophy for the best article in the American Philatelist the same year. In 1997 Les was honored with the APS Luff Award for Exceptional Contributions to Philately. Barb Boal’s life in philately started as it did for most of us, as a general worldwide collector. For her it was while she was in the Girl Scouts. Later, in 1985, she married Pennsylvania State golf pro Earl Boal. He made her promise to learn golf on their wedding day and her stamp collecting migrated from accumulating to golf as a stamp collecting thematic. One of her jobs at the American Philatelic Society (APS) would be to tend the APS booth at StampShows and Earl would scan the dealers on the floor for materials for her collection. Barb and Earl’s marriage gave them two children and three grandchildren and at last count three great grandchildren. Barb joined the staff at the APS in August 1981 while Bill Welch was the editor of the American Philatelist (AP). He appointed her to the job of design manager in 1985. From August 1990 to October 2001 she served as the managing editor. From August 2002 she has been the editor. 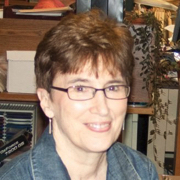 She edited the Philatelic Literature Review for the last few years as well as numerous APS brochures. In all she worked for the APS for thirty-three years. Her heartfelt “Thanks for the Memories” was printed in the December 2014 issue of AP. “Working on the AP was at times challenging, but always a joy and a real learning experience. It was an exciting time to be in publishing. Guiding the AP into the technology age was both challenging and exhilarating at the same time. When I started doing layout and design for the magazine, we were using hot wax to affix the type galleys to the layout sheets and when I retired we were completely digital using the computer-to-plate technology. In addition, we made the transition from an all black-and-white magazine to one in full color. Joe Criscuoli started the transition to modern methods. Joe submitted an article for the magazine and began chatting with Bill Welch about the possibility of creating the magazine totally on the computer. We began our transition to the digital age in the early 1980s by transmitting articles and columns to our printer/typesetter via modem and telephone lines. In two or three days, we would receive the galleys for proofreading and layout. We also used photographs for the illustrations. We had a photographer who would take the pictures of the stamps, covers, and etc. Corrected pages were then photographed and the film/separations were created and mailed to our printer, Webcrafters, in Madison, Wisconsin. At Webcrafters, the printing plates were made and then on to the web press. Preparing an issue of the AP was a time consuming process. In the early 1990s, we jumped in feet first into computerized, desktop layout. Bill Welch, the editor at the time, used to say, "It is better to be on the bleeding edge than trying to catch up!" I was charged with making this happen. I used to joke that there were days when I thought I might need a transfusion. I began the process using Ventura software as our layout package. I spent two days at IBM in New York City getting training and then, we were off and running and there was no looking back. But, we were still using photography and separations. It was time to take the next step moving to Quark for layout. I started scanning the stamps, covers, and etc. and began manipulating the digital images with Photoshop. This step required us to change prepress and printing companies. By early 2000 we were well on our way to being computer-to-plate. Our printer, Quebecor, encouraged me to move to InDesign. And the rest as they say is history. Well, almost! We changed printers one more time moving the AP to Walsworth. This move continued the excellence in printing and also provided the members with an online version in January 2010. Before I retired, I had started creating an app for the magazine. With each step along the way we were able to decrease our production time and get the magazine into the hands of the members earlier than ever before. We also saved $8,000–$11,000 each month in prepress charges, largely just from photography costs. In addition to working on the magazine, I worked on twelve books including such titles as Fundamentals of Philately, Admiral Issues of Canada, The Serrane Guide, Liberty Issue, Understanding Transatlantic Mail, Volume 1, Bellefonte and Early Air Mail, 1918–1927, and The Aerogrammes of Australia. I compiled the first edition of the APS Stamp Identifier. I also was the editor of the Philatelic Literature Review. While Bill Welch was editor, the AP was awarded its first international gold medal. During my tenure, we received two more and were presented with the Alvaro Bonilla Lara Award. Barb’s efforts moved the AP and other APS publications along as the technologies improved. All other philatelic societies and clubs benefitted from this, since certainly if the APS could do this, the rest of us were sure we could do it too. The American Stamp Dealer & Collector in their article about Barb’s retirement in November 2014 noted that one important purpose of all philatelic publications is to promote all other publications and the hobby in general. Barb’s choices of articles on a month to month basis were clearly designed to keep members up to date on all aspects of the hobby. Even when there was controversy, the members learned something they might not have learned otherwise. 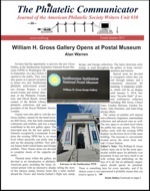 Tom Lera was appointed the Winton M. Blount Research Chair at the Smithsonian National Postal Museum (NPM) in 2007. This moved him into a fully philatelic occupation. Before that he held management positions at several manufacturing companies. He has also been active with several non-profit groups including NAPEX, the Committee for Accreditation of National Exhibitions and Judges (CANEJ), Washington 2006 Stamp Show, and others. He is an accredited national philatelic judge. He recently retired Emeritus from the Blount Chair but continues to conduct research in the NPM lab under contract. This would be enough for most folk, but in addition he has published 45 philatelic papers since 1985, many of them concerning bats as a philatelic topical subject, 15 papers on his sideline of Speleology since 1977, and 14 scientific papers since 1970 concerning water quality, bats and other topics. He also has written 23 fictional horror and science fiction short stories, each of which has a philatelic item at its core. He has prepared about 25 online publications, symposia collections and finding guides for the NPM since 2009. The entire list is about 12 pages. Tom has chaired a number of philatelic symposia that have been held alternately at the American Philatelic Society (APS) headquarters at Bellefonte and the NPM in Washington, D.C. Tom has edited most of the symposia collections. One of those events was organized into the Proceedings of the First International Symposium on Analytical Methods in Philately which was edited by Tom and two co-editors. This book was presented with a gold medal literature award at the 2014 APS StampShow in Hartford, CT. This symposium presented the results of scientific studies on philatelic materials from the composition and physical characteristics of the papers used, to the chemistry and mineralogy of printing inks, to determining the genuineness of stamps, overprints, and the uses of adhesives on covers. The Secretary of the Smithsonian Institution chooses to honor several works by Smithsonian scholars each year. In 2013 Tom Lera was selected to receive the Secretary’s Research Prize for a book he co-authored with Leon Finik, G. H. Kaestlin Collection of Imperial Russian and Zemstvo Stamps. This work also received the Vermeil literature award at the Europex Stamp Show in 2015. A few items from these lists might be noted. From 1990-2000 he was the editor of The Underground Post, an international philatelic journal on stamps and postmarks of caves, caverns and speleological areas. He was conservation editor from 1977 to 1983 for the NSS Bulletin, a quarterly concerned with caves and karst studies. He is a contributing editor (1981 to present) to Speleophilately International a journal on stamps and postmarks from caves, caverns and speleological related areas. In 2011 he published a 136 page book Cave Post Offices which listed post offices that were located at caves or that served cave parks. Harlan Stone is not only an accomplished author and editor but also a distinguished philatelic exhibitor nationally and internationally. He has received numerous gold medals and national grand awards for his Switzerland exhibits and the Champion of Champions in the World Series of Philately. He served as editor of Helvetia Alphorn (1969-1974) and editor of the Postal History Journal (1989-1999). He edited two bulletins, the catalog, and the palmares for PhiLITex 92 and served the exhibition as General Commissioner. It was the largest international philatelic literature exhibition at the time. Harlan edited several publications of the Philatelic Foundation including The Philatelic Foundation Quarterly, Philatelic Focus, The Philatelic Foundation: A History, Philatélie à la Française, and U.S. Postmarks and Cancellations. He edited the works of others including Robert Stone’s A Caribbean Neptune, George Guzzio and Mary Ann Owens’ New York City on Stamps, Gordon Hughmark and Donald Halpern’s Stampless Mail to and from Scandinavia to 1868, Yamil Kouri’s The Postal History of Spanish New Orleans, Kees Adema’s The First Postage Dues: Holland’s “3S”Markings, 1667-1811, and the ANPHILEX 96 exhibition catalog. Stone contributed articles to Helvetia Alphorn, Tell, Collectors Club Philatelist, American Philatelist, First Days, Linn’s Stamp News, Stamp Collector, Scott Stamp Monthly, Postal Stationery, Postscript, and Berner Briefmarken Zeitung. He served the Philatelic Foundation as a member of the Board of Trustees, the executive committee, as secretary, and as director of education. He was a member of the board of directors of the Postal History Society, and for the American Helvetia Philatelic Society he served as vice president, president, awards chairman, and publicity chairman. He served on the Council of Philatelists of the National Postal Museum. 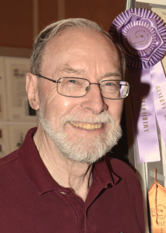 He was recognized with national golds and international large vermeils at literature competitions as editor of the Postal History Journal, and four times he received the American Philatelic Congress’s Diane D. Boehret award for excellence in philatelic literature. He is an honorary member of the American Helvetia Philatelic Society. In 2000 he was elected to the Consilium Philateliae Helveticae. Harlan is a member of the prestigious Society of Postal Historians, and in 2012 received the national merit award of the Philadelphia National Stamp Exhibition. In 2009 he was honored with the Golden Dove award of the Swiss Stamp Dealers Association for contributions to Swiss Philately. 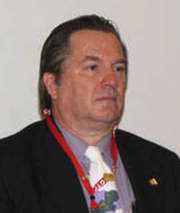 He received the APS Luff award for distinguished philatelic research in 2006, and the Alfred F. Lichtenstein award of the Collectors Club of New York in 2009.